From our first estate built in the 1960s, our goal has always been to provide affordable good quality business units, whether for start-up companies or for the well established and growing business. 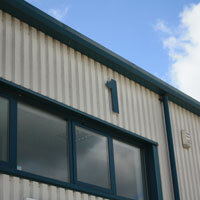 Our units are ideally suited to the small business start-up looking for space to grow. We accommodate the growing commercial organisation needing extra space for B1, B2 or B8 activity, and the larger manufacturing company needing good parking and turning space for commercial vehicles as well as access to the main arterial roads serving the country. Our flexible and shorter term leases at competitive rents are proving to be increasingly attractive. We have continued to expand and develop our commercial business estates, and offer a range of business units of varying sizes to accommodate all types of businesses. Our commercial and business units are offered on flexible leasehold arrangements and we also offer design and build solutions to businesses with individual commercial property requirements. Our estate at Aldermaston has the added benefit to tenants, in providing a peaceful country parkland setting (Paices Wood Country Parkland) close by in which they can enjoy a lunchtime stroll or just a breath of fresh air – with direct access to the industrial estate. Recently, we have also extended our expertise into the residential and investment markets. We buy, refurbish and develop residential properties throughout Berkshire and Hampshire. We also seek investment opportunities in residential, commercial and business developments. Despite our growth and success, we haven't forgotten our founding principles of providing good quality, affordable industrial units to our tenants.